There’s never a shortage of places to explore or new things to do in Ganpatipule. Special Food- Though its religious place you will get yumm fish dishes around here. And for veg lovers Mango pulp & those who have sweet tooth Ukadiche Modaks are waiting for you. Also dont forget to taste appetizer Solkadhi. 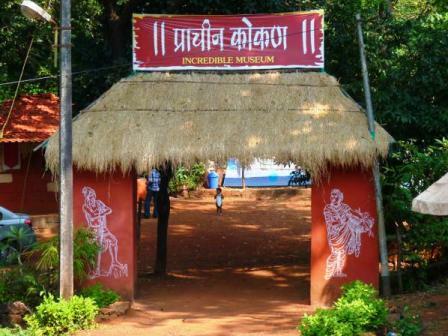 Prachin Kokan is a life size museum set in a sprawling three acre campus in Ganpatipule depicting life in early years in Konkan. A guided tour in the museum takes you through various aspects of life in Konkan in the past. 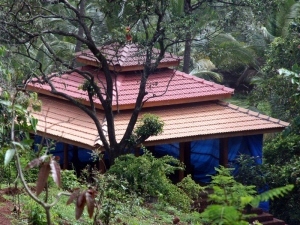 The museum elucidates the social, economic, cultural and relegious background of Konkan. The museum puts on display the grandeur of the history of Kokan region. With sculptures of the maratha hero 'Shivaji maharaj' depicting historical moments, and models of the amazing sea forts in the Kokan region the museum brings the ingenuity of the Kokan people to fore. Malgund : A kilometer away from Ganpatipule is a small village called Malgund. Birth Place of revolutionary Marathi Poet Krishnaji Keshav Damle alias Kavi Keshavsut. Home to the famous Marathi poet Keshavsoot who pioneered modern Marathi poetry. Visit his beautiful monument and the museum, which is a houseful of information on modern day Marathi poets. An ancestral house is converted into library & cultural centre. Boating facility is available on Malgund beach as well as ganpatipule beach. Aare Ware: Located at 15 Kms. from ganpatipule. The beach at Aare Ware is secluded and less crowded than Ganpatipule, However the sea here also is dangerous for swimming. you can get a beautiful view and three side sea from the top of the hill. Fort Jaigad: Jaigad, a port on Konkon coastline is famous as a natural and safe port. It is situated on the mouth of river Shastri. The fort Jaigad is magnificent. The lighthouse and the Jaigad creek is spectacular. Ratnagiri: is a beautiful city and an important port. 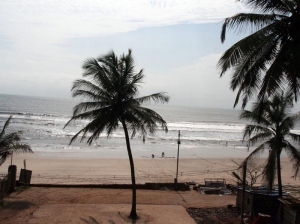 The Ratnagiri beach is a lovely beach, which penetrates the sea and you can see a White sand beach on one side and a Black sand beach on the other at the same time. The places worth mention to see in Ratnagiri are The Aquarium, Birthplace of Lokmanya Tilak, Thiba palace, Thiba point, Bhatye beach, Bhagavati/Ratnadurga fort. 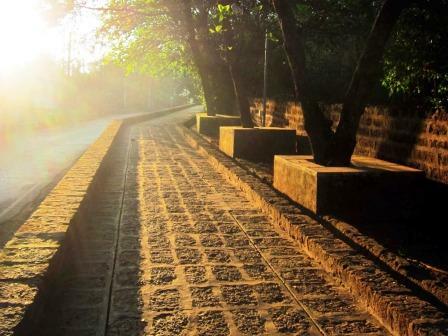 Pavas: Located at 16 Kms from Ratnagiri city. The Shri Swami Swarupanand Samadhi mandir at pawas has gained much importance as a pilgrim place and lakhs of people visit Pawas every year. 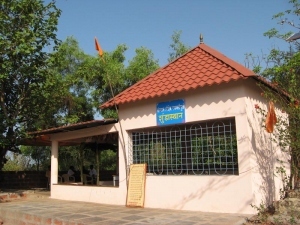 The Samadhi mandir was constructed in the memory of Shri Swami Swarupanand Who took a samadhi here on 15th August 1974. The Temple is very beautiful and you will have a feeling of intense satisfaction and peace as you are in the temple premises. Marleshwar-Arawali-Dervan, Guhagar-Hedavi-Velneshwar are different places you can visit in your Konkan trip.